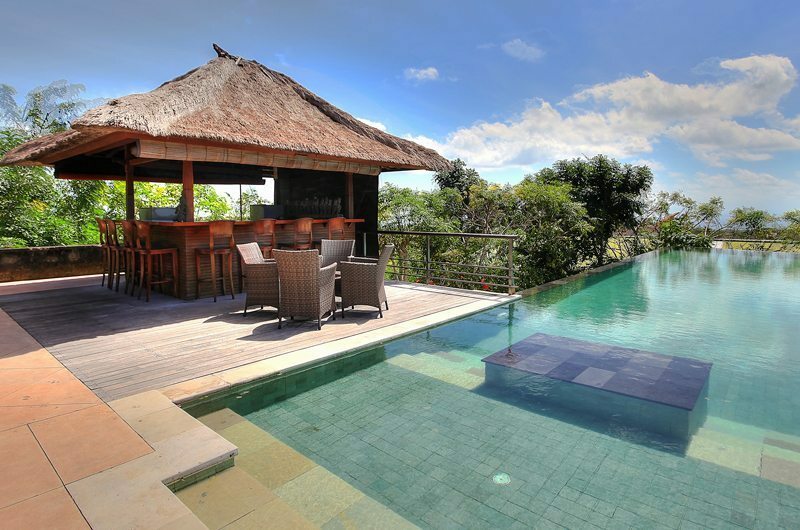 A hillside Balinese retreat with a modern polish, with two villas offering up to 6 bedrooms. 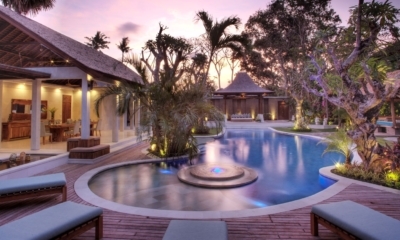 Watch the sunset over the Indian Ocean as you sit by your private pool at the beautiful Villa Indah Manis Complex. 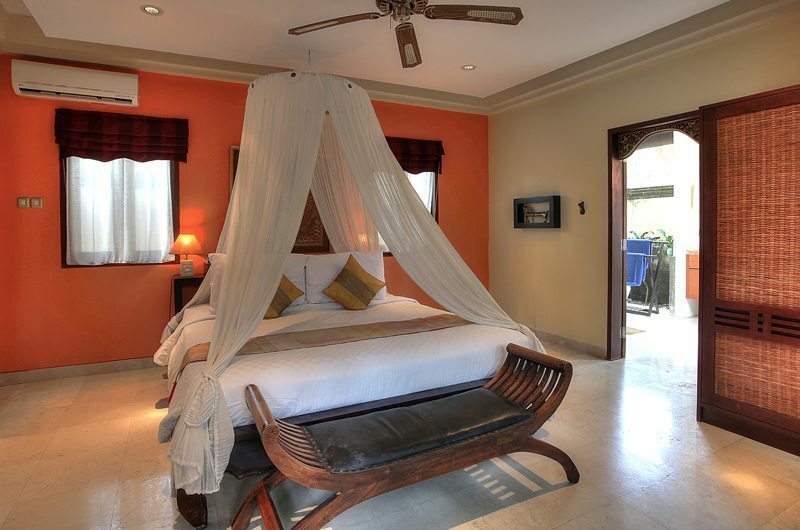 The idyllic 5 bedroom villa, which easily sleeps 10, is in Nusa Dua near Pecatu Bukit on Bali’s southern peninsula. This rural retreat provides breathtaking views of the ocean and the mountains. The living and dining pavilion is perfect for when you want to get together with family and friends. 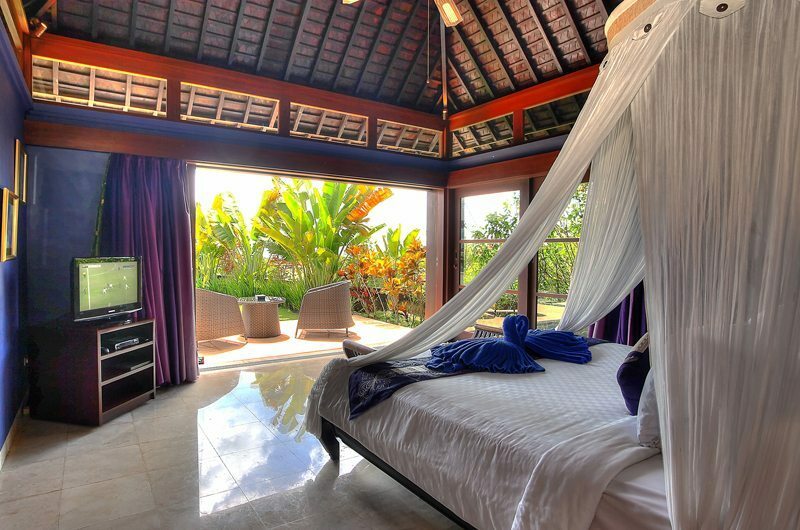 In typical modern Balinese style, it is open on four sides to take advantage of the views and to catch the breeze. 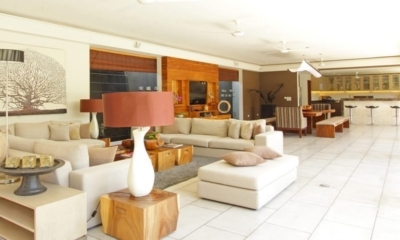 With a formal dining area, sofas and chairs, there’s plenty of room for everyone to relax to the soothing, mellow soundtrack of the villa’s water features. If it’s more informal dining or relaxation you’re after, head down to the lower level – there’s a cosy entertainment room and a games area with a full size billiards table and dartboard, TV, DVDs and books. Swim or lounge in the sparkling clear waters of the pool – the water at its infinity edge appears to overflow into the forest below. Chill out on a sunbed on the pool deck, or in one of the other relaxation areas that you’ll find strategically located amongst the frangipani and flowering shrubs in the landscaped garden. If you want to keep up with your exercise routine, head into the fitness room, but make sure that you’re finished by sunset – it’s the perfect time to gather at the poolside bar to watch the sunset. After sunset relax and enjoy the sparkling lights of distant villages. 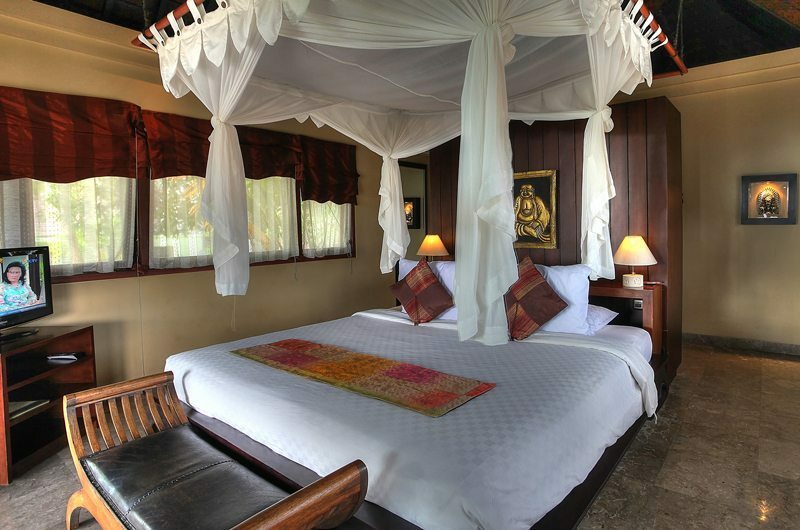 When it’s time for bed retire to one of the five luxurious bedrooms. 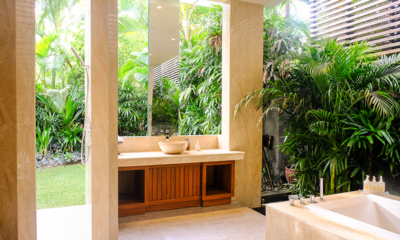 Three of the rooms have their own, well-appointed en-suite bathrooms. If you’re travelling with younger children, the Alamanda and Melati rooms, which share a bathroom, can be joined to form a convenient family suite. The majestic Uluwatu Temple gazes out across the Indian Ocean, protected by sea snakes that slither in the cove below. 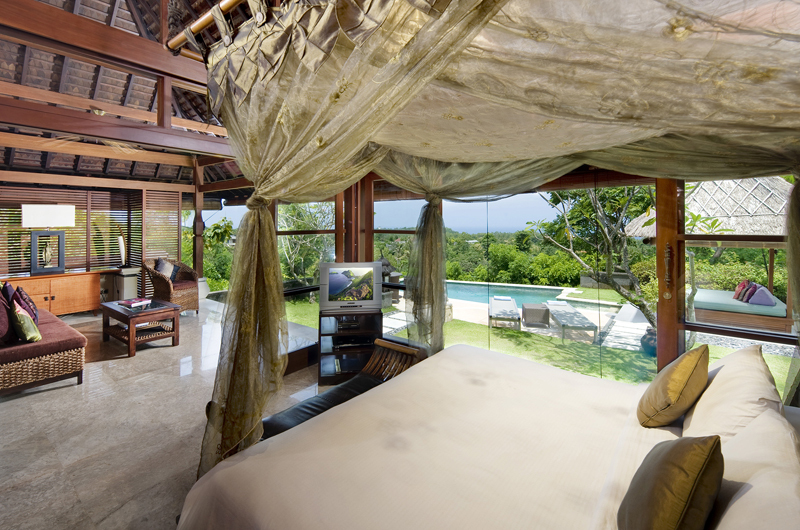 Bukit West and Uluwatu offer an unrivalled element of magic and mystery that captivates every imagination. The western part of Bali’s Bukit Peninsula will welcome you with its wild beaches, indigenous nature and warm local energy. A place where the past and the present fuse seamlessly together, you can still see the rich cultural heritage as you lounge back in luxury. Read More About Bukit West and Uluwatu.